We purchase all types of used, refurbished, and new mobile devices in volume! 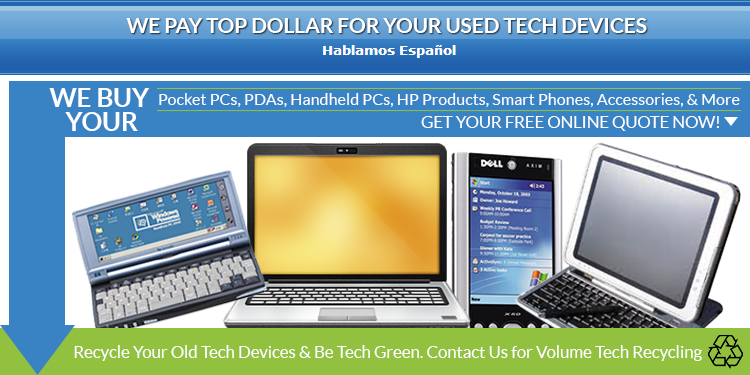 We also purchase certain models for parts (HP 200LX, HP Jornada 720 & 728, NEC MobilePro 900, HP iPaq 210, and more). In the details section below, please tell us about what you have for sale. Please include, brand, model, condition (new, like-new, good, fair, or not working), accessories included, and quantity. We will contact you within two business days with an offer. If you have any questions, please feel free to email or call us at 1-641-472-1382. Our payment options are PayPal, company check, or store credit.